Hood Cleaning is in high demand and is required by law. 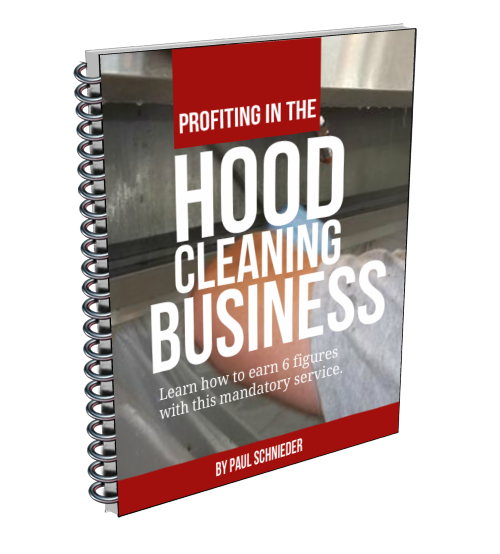 Download our report that will help you to determine if your area will support a hood cleaning business and if a hood cleaning business is right for you. Now you can start your own profitable kitchen hood cleaning business! With our training manual you can learn our proven methods so you don’t have to depend on luck to hit paydirt. Here’s why you should consider using our manual to get into this business now: Trends show people eating out more and more, resulting in more restaurants. Recently, insurance companies and fire inspectors have started requiring most commercial kitchens to have their hood systems cleaned regularly.Therefore, the demand for hood cleaners is on the rise. For the past 30 years I have operated and expanded hood cleaning businesses in three widely separated areas of the country. Even during the economic downturn of 2002, I was able to expand my hood cleaning business by 214%. The reasons kitchen operators are calling on my company are the quality of our work and our effective marketing program. 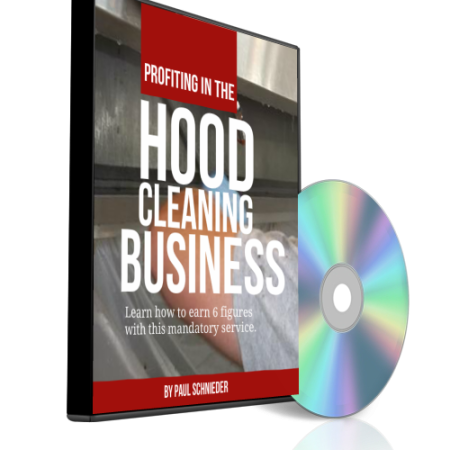 Now, for the first time, these proven and very successful hood cleaning and marketing methods are available to you. What you Get with the Hood Cleaners Online Manual. In this fact filled manual, I cover the step by step actions needed to open your own kitchen hood cleaning hood cleaning business. The manual is cram packed with over 100 illustrations, diagrams and color photos. Taking over a year to prepare and write, and based on over 30 years in the hood cleaning business. How to get customers and record keeping. Computer and paper record keeping are covered, including sample invoices, bids and advertisements. This manual is well worth the purchase price in saved learning and work time alone. It includes industry standard procedures as well as time and money saving tips developed and picked up over the years. A real find for both new and experienced hood cleaners alike! So how much is the manual? I have been told I should charge over $500.00 for just a portion of the information we provide. We are so confident you will love the information we provide a full 30 day no questions asked guarantee. If you are not completely satisfied with the information we provide simply email us and let us know for an unconditional refund no questions asked..
Request a free no obligation inspection and estimate today! Ability Services does not provide hood cleaning certification in the state of Illinois. All information found on this site is purely for the benefit of the end reader and not to be considered as certification in any way.